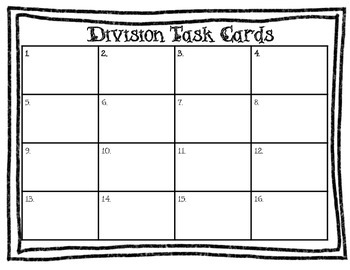 I created these task cards to give my students more practice working with division. Since it was close to Halloween when I created them, I stuck with a Halloween theme. 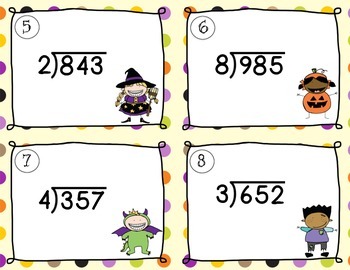 My students have really enjoyed working with these. 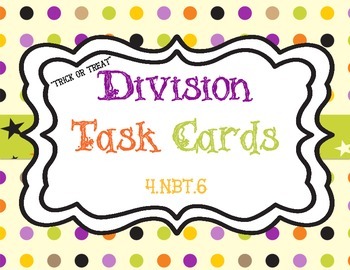 They can be used in a center, extra practice, group work, or as a scoot game. There is a variety of ways to use these. I hope that you will find them useful in your classroom. If you have any questions, please feel free to contact me at leighvip1@gmail.com. Thanks!